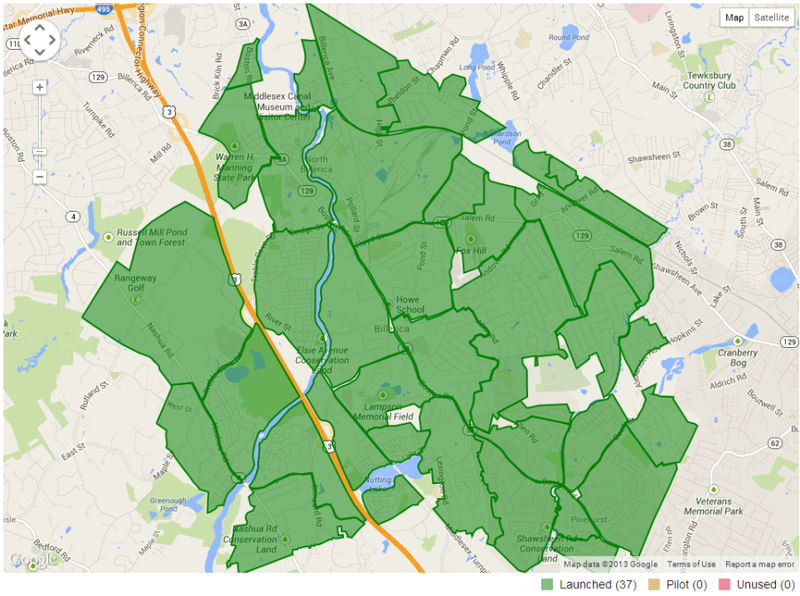 This post is a follow up to my original story, Nextdoor: Social Media For The Neighborhood. If you’re not up to speed on Nextdoor go ahead and read that original post first. It’s been about two months (as I write this) since my department launched Nextdoor and there’s been some progress in a number of areas to report back on. Back at the end of August 2013 we had been recruiting founding members and putting the word out via our traditional forms of social media, specifically Twitter and Facebook. I emphasize this because I do think we would have had a much slower adoption rate without the significant audience we already had in place on those platforms. On launch day we were approaching 600 Nextdoor members. Today is November 3, 2013 and we now have just over 2400 members representing 37 neighborhoods for a total of 12% of households. When looking at individual neighborhoods the numbers range from a low of 4% of households up to 43% on the high end. The largest membership in one of our biggest neighborhoods is 210. Every area of town is represented and every neighborhood has launched permanently. Here’s how our map looks. 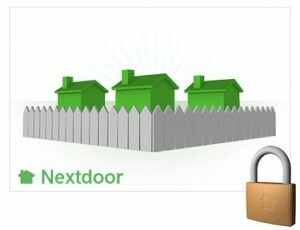 During the last two months we continued to promote Nextdoor via Twitter and Facebook. Nextdoor also assisted us by sending out “Express emails” through a third party. This effort was good for 200-300 more sign ups. It also irritated a few residents that didn’t appreciate the unsolicited emails but there was only the initial email and a follow up one about a week later. The bottom line is that we have exceeded expectations on the adoption side and our efforts have been bolstered by the residents themselves inviting their neighbors and friends to join. There’s a lot more positive comments but for the sake of space we can end it there. Any negative comments have been very minor and usually involve some elements of the software. I’m not going to rehash too many items that were already discussed in my August 26th post regarding how the platform works but I will share some thoughts since we launched. One particular shortcoming that is hopefully being addressed soon is the complete lack of city functions from their mobile apps. While residents have mobile apps for iOS and Android, they don’t yet support city functions. This means that you won’t be using an app to update your residents on the go. Its not all lost as you can update from the browser, which is slow and clunky, but works OK. The biggest issue with using the browser I’ve found is the tendency for the browsers to refresh if you leave it to reference another app. On more than one occasion I’ve had to go to an email to reference some information for my Nextdoor post only to find that any work I already did was gone and I had to start over. This is incredibly frustrating when you’re out in the field. Law Enforcement technology is increasingly mobile and the need for the mobile app to support city functionality will be important if Nextdoor wants Police Departments to consistently use its platform. You can reply to an email notification and the reply will post to the originating thread. This is convenient and posts fairly quickly most of the time. While using a mobile data terminal eliminates some of these limitations, there are still many agencies that don’t provide internet access on their mobile data terminals (why?). We’ve also had residents reply to some of our posts asking what time the post was created. Many incidents are time sensitive and Nextdoor doesn’t stamp the time on posts accurately. Instead, its more of a general “2 hours ago” or just a date. This is not helpful in many cases. Its something we gave feedback on and I am told that the time stamps will be reworked in the future. To this day I still have trouble understanding how Nextdoor orders posts. There is no option to sort by “date created” or “last updated”. And, if you use the mobile apps as a resident you’ll be even more confused about what determines the order of the content. There’s also no way to edit a post once its created. If you’ve made some typos or spelling errors you’ll need to delete and recreate the post. I’ve also been informed that this will be enhanced soon. Recently, Nextdoor added the ability to disable replies. This prevents a stale topic from being commented on once it loses relevance. They’ve also added the ability to delete an urgent alert and enhanced private messages to indicate new messages better on the website. But, overall, Nextdoor software is easy to use, functional and is constantly improving and it seems to be doing things better than many other platforms. I’ve had many older folks, that aren’t tech savvy, take to Nextdoor and use it. That’s encouraging. In the area of support, there’s nothing negative to report. Nextdoor staff is always responsive and proud of their product, and it shows. I believe the future looks bright for Nextdoor but time will tell. There’s certainly a lot of encouraging investment in their product. Just recently they raised another $60 million in investment. That’s $100 million in the last 18 months. I have no doubt that municipal partnerships will expand and the functionality will increase as well. We continue to see steady growth but it has slowed a bit so we are already considering a new round of publicity, though we have not settled on the strategy just yet. Nextdoor continues to set itself apart from traditional social media by verifying the address of residents during registration, not allowing anonymity and providing a private online environment. This provides a great audience for the police to share information. 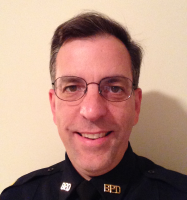 Greg is a Police Lieutenant with the Billerica MA Police Department. An 18 year veteran, Greg manages Communications and Technology which includes social media initiatives. The private social network for your neighborhood. That’s how Nextdoor, a two year old startup company based in San Francisco, describes their product. What is it? What does it do? Who is it for? How much is it? Let’s back up a moment and I will answer all of those questions. My Department’s community has really embraced our efforts with social media (Twitter and Facebook). We have a strong following on both platforms and the overall feedback from residents has been overwhelmingly positive. Any Law Enforcement agency that makes a strong effort with social media won’t have to wait long before discovering its benefits. You’ll also wonder why you waited so long to embrace it. And, yes, you will quickly learn its pitfalls and limitations as well. It can often be a trial and error process which can sometimes raise the blood pressure of management and line Officers. If you’ve been a ConnectedCOP you already know this and you also realize the benefits outweigh the risks. A lot of these topics have been covered quite extensively and I’m not going to rehash most of it in this post. I am going to speak of limitations with traditional social media and how it brings me to Nextdoor. What are the limitations I am talking about? First, it’s audience. Who is your social media audience? Is it local? Is it national? Is it international? Probably all of the above. Our experience has been that our Facebook audience has a higher number of residents than does Twitter. But, both platforms bring in people from all over the world. That’s a great thing in many respects but it also presents challenges because it’s not just your residents you are reaching. And sometimes, you just want to speak to your residents, not the media, not the perps, not the 752 agencies that follow you, etc. The second limitation is accommodating employee involvement. How do you facilitate employee engagement through social media without having to wade through pages of privacy settings or dealing with numerous accounts that the agency has no control over? Then there’s the challenge of directing all of this employee involvement through a common outlet (your agency). Getting employees on social media is not hard. Moving them all in the right direction, under one umbrella, can be a major challenge. The term “Herding Cats” comes to mind. Third, do these social media platforms give residents a common outlet to reach your agency and each other? This is where our conversation started and it was related to neighborhood watch. Yes, “Neighborhood Watch”, does it sound weird? Seems like it’s old school. But, everything old school eventually becomes new school again. In my town we had a neighborhood that was very tight and really wanted to address some of the nuisance crime that can degrade the quality of life. These folks had a system going with a Yahoo Group that was working very well and many of the members were using the group primarily through email, a great tool. However, in my own mind, I could see a problem for us moving forward. The problem is that crime watch traditionally needs a relationship with the police. Do we get on their Yahoo Group to stay current and communicate? What if the neighborhood nearby uses Google Groups for their watch, a Facebook group or a listserv? We want to be part of the conversation, part of the solution. How can we be effective with all of the fragmentation? I started looking for solutions. I jumped online and began looking for crime watch software. Go ahead and try searching for yourself, I won’t bore you further. It wasn’t until my friend and coworker Troy noticed the Nextdoor logo on the National Night Out webpage that I thought I had something with potential. Troy knew we were looking for something and passed it along as a possible solution. So, what is Nextdoor? As I said in the first paragraph, it is described as a private social network for your neighborhood. But, what does that mean? The social part is just like any other form of social media. Its all about social networking with other people, specifically, your neighbors. That is where the “privacy” comes in. In order to register to your neighborhood you have to verify your address. There’s a few ways Nextdoor does this. Obviously, nothing is foolproof but the effort put forth on the verification process sets this platform apart from other software, among other things. But, one thing we can’t avoid is the requirement that we register for, yet another, social media site. I’ve always been a believer in going where the audience already exists, not bringing the audience to us. Requiring folks to register for something else in order to listen to us always seems to end up with a limited audience and the need to connect mainstream social media platforms to expand that audience. Ultimately, that scenario is often a fail. Will Nextdoor persevere? I’m not sure. Whether Nextdoor can overcome the challenges that has left others in the dust remains to be seen (for us) but I’ll be following up at a later date with actual results. For now, let’s look at the product and how to get started. Like a typical startup company don’t expect to see many phone numbers listed on the Nextdoor website. 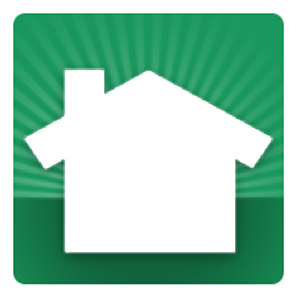 Most of your contact with Nextdoor will be via email and their contact forms on their website. It took me a week or two to get a demo of the product but once that was out of the way things went quickly and I was put into contact with two employees that have been excellent in their support. At this point I should mention that Nextdoor can be used by residents without the involvement of the municipality. But, our interest from the start was to launch it as a police initiative. Nextdoor for cities is what it is called. Just be aware that residents may already be using Nextdoor. Not a big deal but it may affect your neighborhood boundaries. If you’re going to get this project off to a strong start you really want to pull out a map and work with Nextdoor to get the neighborhoods divided up. There’s no GIS wizardry required here and we were able to send them a map that we marked up with a Sharpie. You may find that there are some existing neighborhoods defined by residents and Nextdoor will be hesitant to change them without the consent of the person that created it, so be prepared. Dividing up neighborhoods isn’t as easy as it seems. Some neighborhoods are painless to identify because the streets and geography already provide good boundaries. Other areas on your map may not be so clear cut. The end goal should be neighborhoods with 100-1000 households. Once the map is completed, it’s time to recruit members to act as founders. Founders are the folks that will get their neighborhood off the ground by inviting people to join the neighborhood on Nextdoor. How you find your founders depends on the agency. In our case we used our strong following on traditional social media to recruit founders successfully. Founding members register and start inviting their neighbors, who in turn, can invite as well once their address is verified. Once a neighborhood is started, it remains in “pilot” mode until a certain amount of verified membership is reached, usually around 10. There is usually a time limit on the pilot stage and if a neighborhood is not launched in a certain amount of time it will revert to being an “unused” neighborhood. During this process Nextdoor will setup your agency’s “City Page” so you can invite agency members to join and track the progress of your neighborhoods. However, your agency presence on Nextdoor will not be available to you or residents until an official launch. More on that in a moment. While you’re preparing for official launch you will need to spend some time getting residents interested and recruiting founding members. At the same time you can track the progress of the neighborhoods at the Nextdoor site by logging in and viewing the Google map that they embed for you. The map will show you all of your neighborhoods. 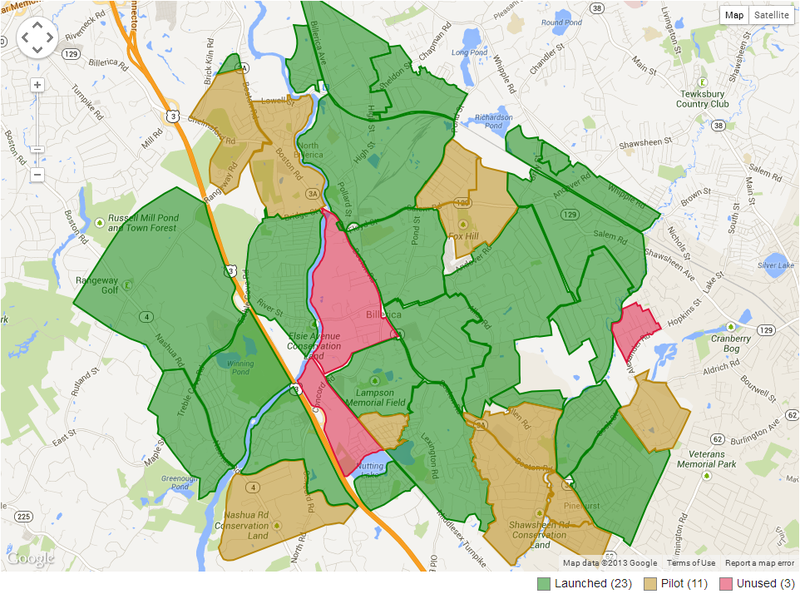 Neighborhoods in green have launched, brown are pilot and red are unused. Metrics are also available and are updated every night. Data available includes how many members exist in each neighborhood, the number of invites sent out, how much content has been generated by each neighborhood and other helpful statistics. The agency can even export the data to a CSV file. This is what our map looks like, five days prior to the official launch of our city page. The last step on the list is official launch. This is where you officially announce to your residents that Nextdoor is available to them. Official launch will usually happen once 30-50% neighborhoods are started. This can be done through traditional press releases, social media and flyers. As I write this we are a few days away from this step. So far, I’ve described the process but what about the product? Assuming you’ve already grasped the “privacy” aspect of Nextdoor the rest of the product should be familiar as a well designed social media site. What I mean by “well designed” is the layout of the neighborhood websites and the look and feel of the software itself. The user interface is feature rich, attractive, responsive and lightweight. The iOS and Android apps are no different. The overall user experience is very positive without the bloated feel of sites like Facebook. Each neighborhood website on Nextdoor is where residents can post announcements in different categories, add events, classifieds and even create their own public or private groups. Neighborhoods can post to their neighborhood as well as adjoining neighborhoods. The website also facilitates the upload of pictures and documents. To see how a neighborhood works Nextdoor provides a demo website you can try out. I should also add that email integration is also available. If a resident has email notifications setup they can reply to a post simply by replying to the notification email. City officials can also respond this way. How does the City Page work? One of the most important points about the City Page I’d like to share is that City Officials can’t see the neighborhood websites. With all the privacy concerns lately we think this is a good thing. That being said, Officials can post messages to one or all neighborhoods and residents are free to engage those posts through comments which the agency can see and respond to. Agencies are able to add employees as officials on the city page. Each “Official” has a profile that they can make public or private. Once an Official posts from the City Page they are now visible to residents on the City Page “Officials” tab. Officials are also available to receive private messages from both residents and other officials. These messages can be responded to via the website or the users email account used when they registered. From a police perspective the Nextdoor platform opens up some interesting possibilities in the area of Community Policing with individual neighborhoods. The ability for one or more Officers to focus on individual neighborhoods should be an obvious plus for most agencies. The City Page isn’t limited to just Law Enforcement agencies and our Town management is very interested in Nextdoor for the same reasons we are. What about costs? How does Nextdoor make money? Nextdoor is a free service to both residents and your city/town. They have no plans in the future to charge for their service. Their revenue model at this point has not been determined but I think it’s safe to assume that local advertising is a logical long term plan for Nextdoor. For now, Nextdoor has enjoyed plenty of interest and funding from numerous investors and capital venture firms as well as partnerships with some of the largest cities in the United States. The big question of the day here is, will residents see the value in private social media for their neighborhood? Again, expecting people to add another social media site to their life is a challenge. The only way this will happen effectively is if the product sets itself apart from the competition. We don’t have the answer yet but we are waiting to find out. Early indicators are good though as we are approaching 600 members prior to official launch. That’s the Nextdoor product overview. I’m sure there will be a lot more interest from Law Enforcement as the product sees expanded adoption nationwide. I’ll be sure to follow up our experiences with Nextdoor in a future post.